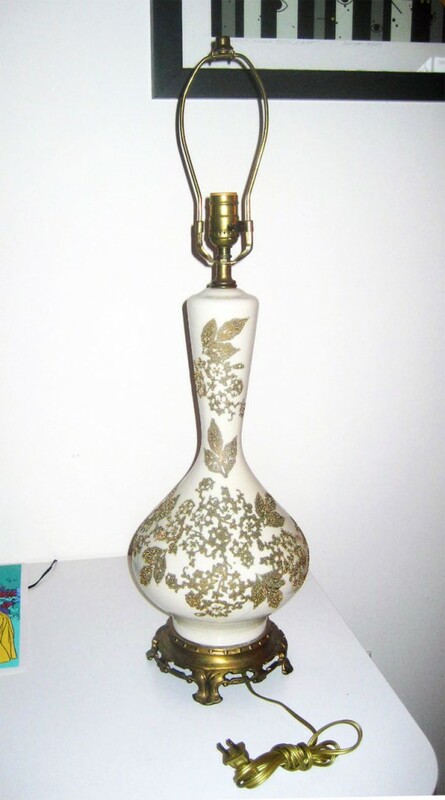 Here’s the cool lamp I got at the Habitat Thrift Store in Ocean Isle, NC this weekend (for a pricey $10.00). It needs a new shade, but I’m totally in love with this one. Now–just have to find a place to put it.